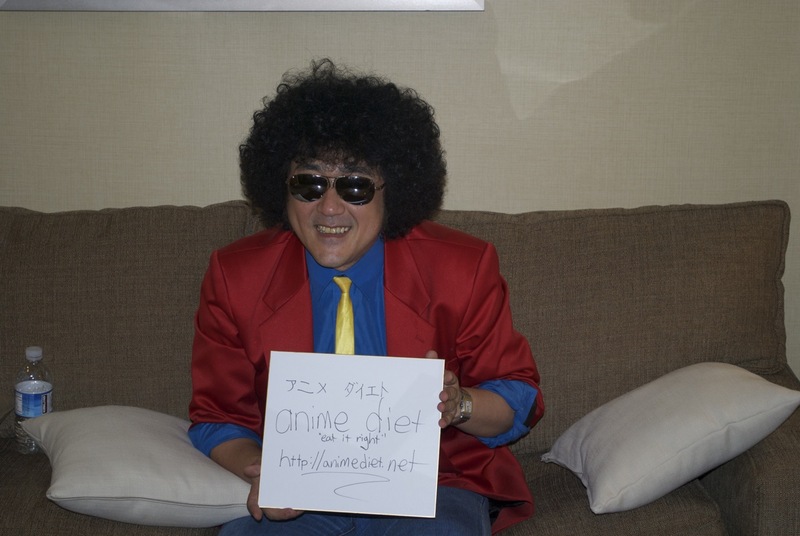 Nabeshin Interview – AX 2010 Press Junket from Anime Diet on Vimeo. The hilarious anime director Nabeshin (aka Shinichi Watanabe)–who made such titles as Excel Saga, Puni Puni Poemi, and The Wallflower–talks to Anime Diet for the second time since PMX 2009! (See here and here.) We talk about his afro, his plans for the future, and get him to say some pretty outrageous things! Previous PostAnime Expo 2010 – Convention and Cosplay PicturesNext PostAsobi ni Iku yo 01 – an adventure/thriller/love dramdy/what? Yes! He approves of us!